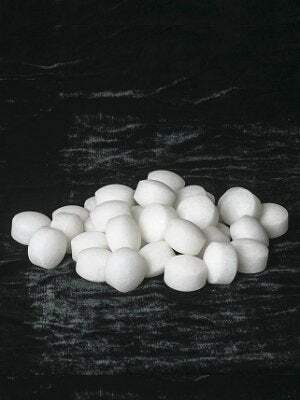 Try some of these strategies for removing the smell of mothballs from your clothes and closets, and learn how to avoid using mothballs altogether! The pungent odor of mothballs is the very smell of storage. Made from either naphthalene or paradichlorobenzene, these little lumps of pesticide give off a toxic vapor that not only kills moths and their larva but also kills or repels a number of other insects. While these fumes’ efficacy made mothballs a go-to choice for protecting treasured blouses and sweaters stashed between seasons, their offensive scent lingers on clothes, carpets, closet interiors—wherever they were placed—long after you’d like. While airing the musty items out helps dissipate the scent, a little DIY know-how and some dedicated effort can help get rid of the mothball smell more quickly. Read on for a few strategies for removing the odor of mothballs from your clothes and throughout the home. Once you’ve assembled your arsenal of odor-fighting ingredients, you’re ready to combat mothball odors wherever you find them. One of the most successful methods for ridding the mothball smell from clothing is to soak the affected garments in a solution of equal parts water and vinegar. Alternatively, put the clothes in the washing machine and run a cycle using only vinegar; follow up with another wash cycle using detergent and softener. Vary the treatment depending on the clothing; for example, for more delicate fabrics you might try combining the vinegar and water in a spray bottle and spritzing the fabric. No vinegar on hand? Durable clothing can be presoaked in hot water and non-chlorine bleach, followed by a normal wash cycle using detergent and softener. Whatever method you choose, be sure not to put the clothes in the dryer until the smell is gone, as heat could permanently set any mothball smell that remains. charcoal in the affected areas. (Activated charcoal is sold in various pellet sizes and is usually available at pet stores.) You can also try placing containers of coffee grounds or odor-absorbing candles for similar results. Whichever material you choose, place it in the areas with the heaviest smells, and change it often until the smell is gone. While they’re great for protecting fabrics from the ravages of insects, mothballs have bigger drawbacks than simply their smell. If ingested, can also be toxic to children, pets, and other animals, so it’s important not to use them in outdoor locations or in attics or crawlspaces. It’s worth keeping in mind that the fumes can cause dizziness or nausea in some people, so exercise caution if you’re considering using them around the house. Given the effort and time required to get rid of that mothball smell, there’s some benefit in seeking out alternatives that won’t make you want to plug your nose and hold your breath. Some popular “natural” moth repellents involve ingredients like flowers, herbs, or essential oils. To make one such repellent, combine lavender blossoms, whole cloves, and a couple of handfuls of cedar chips, then place the mixture in cheesecloth or another breathable material, and tie it at the ends. Use these sachets in areas of concern; replace them as the scent wears off to ensure prevention. Many of these mixtures include lavender oil or other fragrant oils that not only deter moths but also give off pleasing scents to delight homeowners and their guests. 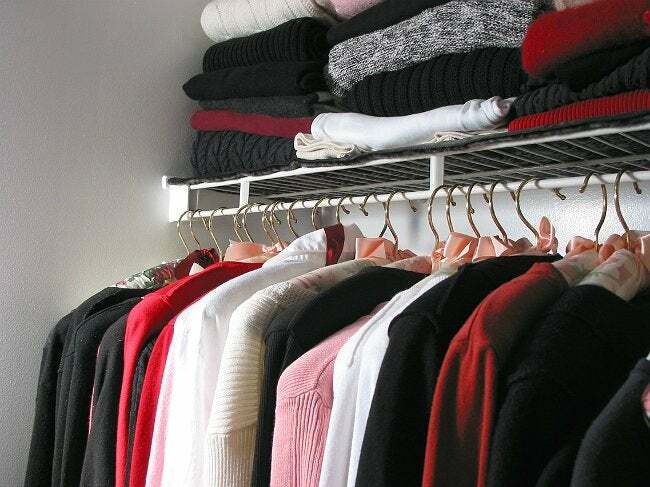 • Before putting clothes away for the season, wash and dry them to remove any scents that attract moths. • Store clothes in well-sealed containers or vacuum storage bags to restrict moth access. • Wipe out all containers or drawers prior to use to remove any existing moth eggs. • Stash a mix of natural repellents away with the clothes. Candidates include bay leaves, cinnamon sticks, eucalyptus leaves, peppercorns, rosemary, wormwood, and many other botanicals.